Option "Shaft" – the fast shaft! The focus with SAPHIR shaft is on the quick, simple and intuitive measurement of shafts. Standard routines are performed by the measurement software and the operator can concentrate completely on the dimensions to be measured. 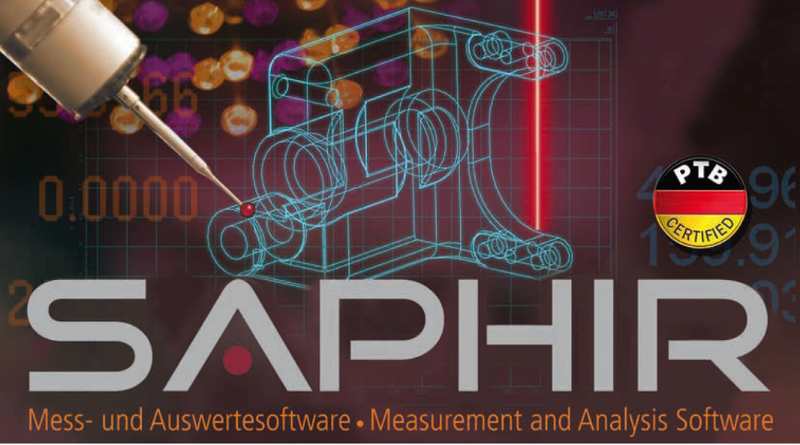 With just a few clicks, you generate a reliable measurement programme and informative measurement log in a very short time. Training is thus limited to a brief introduction. The measurement points can be marked directly in the camera image. Measurement and positioning of the measurement window can be monitored directly. At the end of the measurement process, the user has a graphic measurement report and a ready-to-use measuring programme.